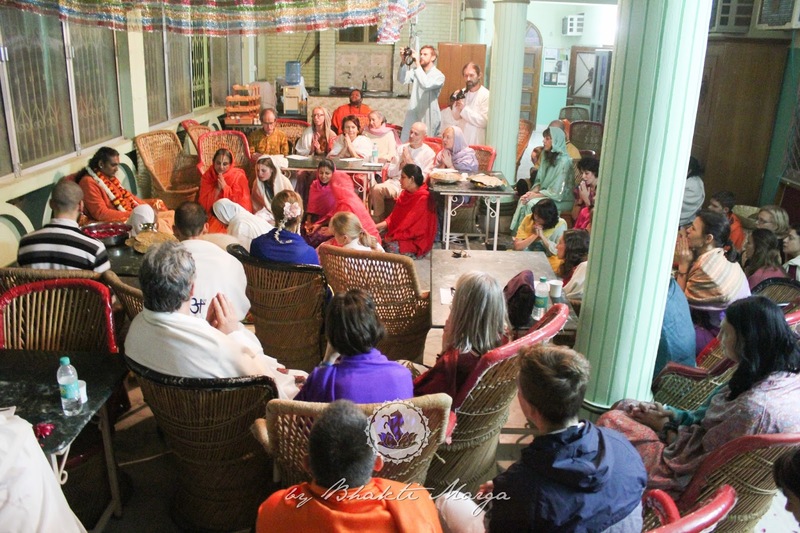 The majority of the group departed from Shree Peetha Nilaya on 16 November 2015 and landed shortly after midnight in Delhi, India. From Delhi, a bus was arranged which took the group straight to Vrindavan. After arriving in Vrindavan, the group had some food and rest and, soon after, hit the bumpy Indian road to visit the birthplace of Sri Krishna called Mathura. Unfortunately, the whole Mathura complex was strongly secured by the Indian army and no cameras were allowed inside. 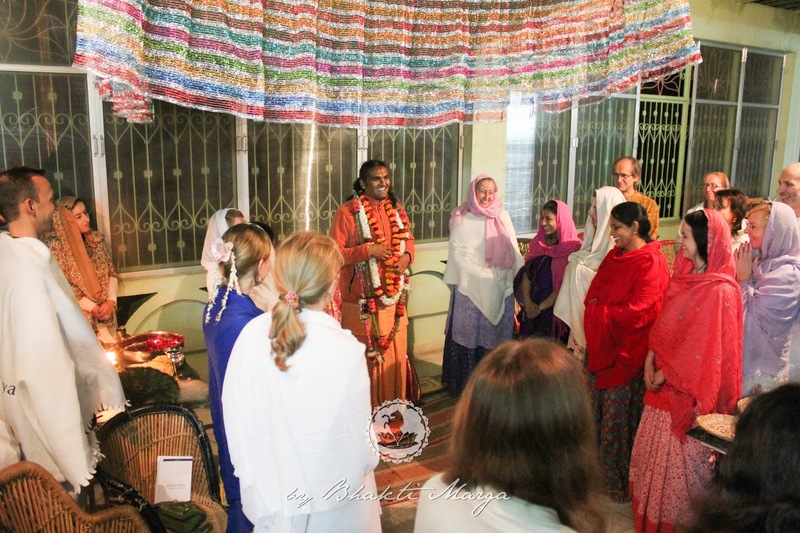 After returning back, Swamini VishwaMohini Ma held a Satsang, the group sang a few bhajans, and then got ready to welcome Sri Swami Vishwananda, who arrived around midnight. 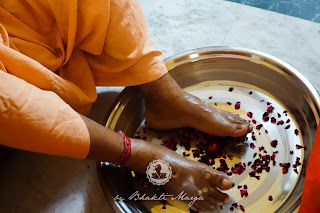 Lord Krishna was born in a prison cell in Mathura. The prison cell is a symbol of humility. It shows how the Lord, through his humbleness, is willing to be born in an environment that most people would look down upon. The same acts of humility can be seen with other great masters such as Jesus Christ, who was born in a stable. The amazing thing about the temple is that it’s situated alongside a mosque. 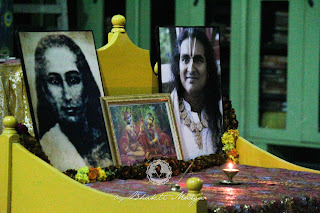 The two places of worship stand side by side in harmony. How every culture can find a place in India is one of the most beautiful things about this country. The religious tolerance demonstrated in India is unmatched and stands as an example for the rest of the world. 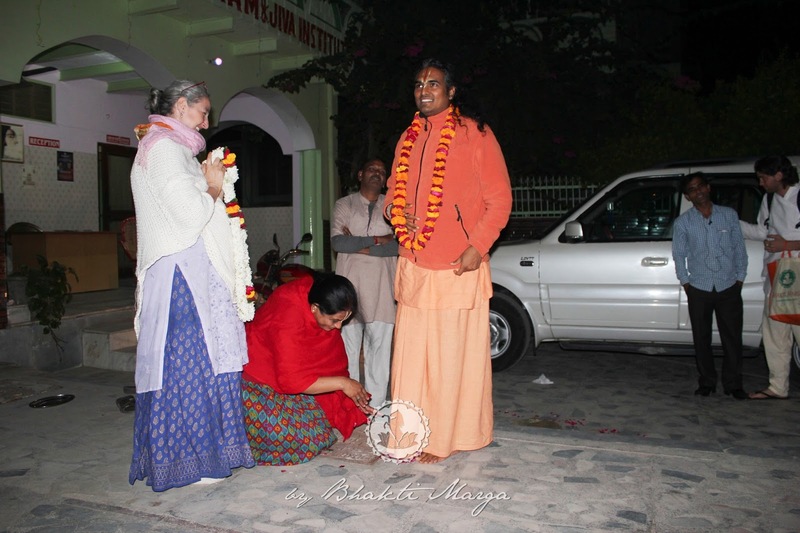 The welcome was very sweet and everybody was excited and joyful that Guruji arrived. 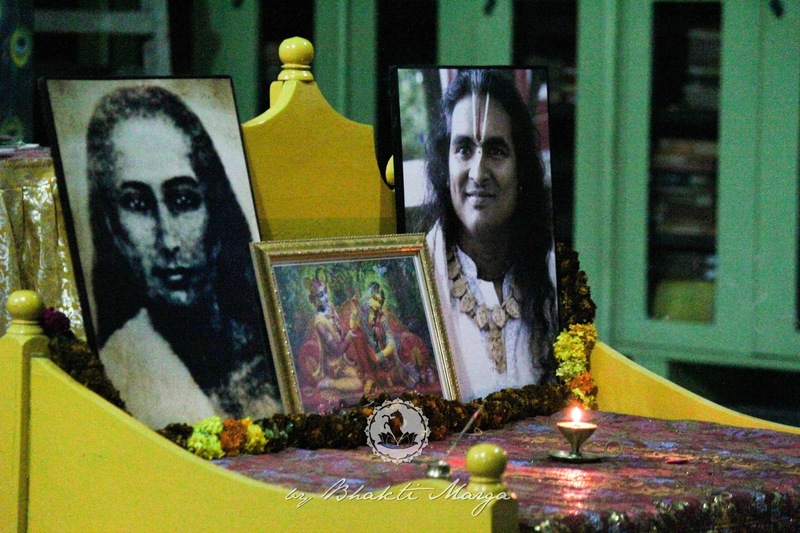 The arrival of Guruji marked the beginning of an exciting next few days in the land of Radha Krishna.